So the new TBO will be more specific, but extensible. A library should be a directory with a configuration file and all usable clips, and at startup you can choose which type of document you want to create. 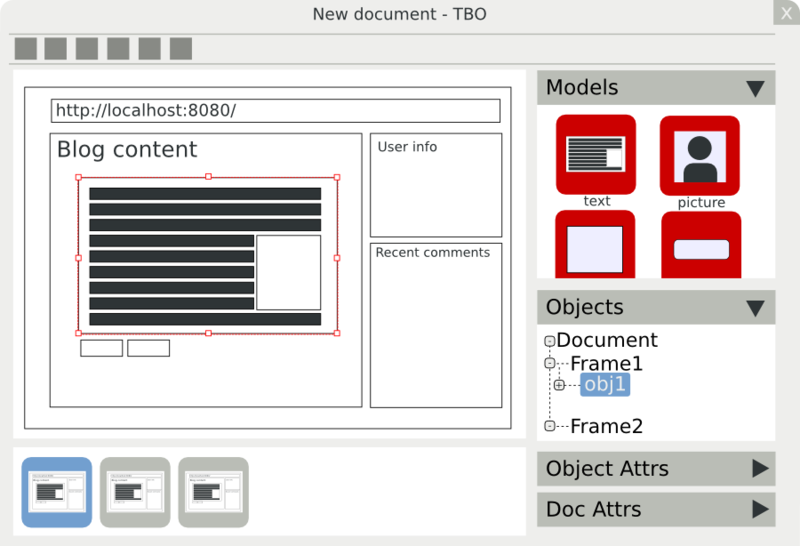 The list of designs you can do with simple clip drag & drop is inmense, so define a new library and add it to TBO should be as easy as possible. Then, the main use of TBO will be practically the same, objects (clips), maybe categorized, pages, and simple object manipulation like move, scale, rotate, flip, etc. For drawing and object manipulation I will use GooCanvas instead of doing all direct to cairo like actually TBO does.